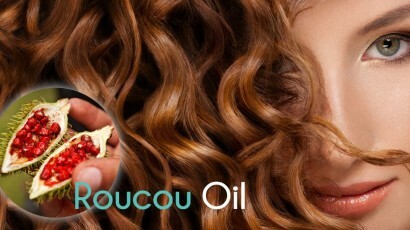 Natural antioxidant – Roucou Oil for hair! One of the least known, yet one of the most exotic plant oils, which are used for professional hair care, is an oil extracted from Roucou – an Amazonian tree. 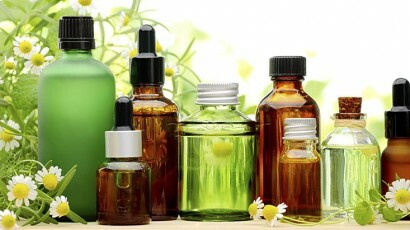 Since ages, it has been used for skin protection purposes by native Indian tribes. Nowadays, it can be found only as an element of exclusive cosmetics’ compositions that beauty salons fix their stocks with. 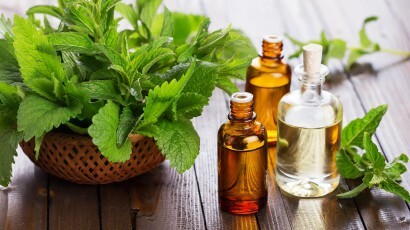 What is the secret of Roucou Oil? What are the origins of Roucou Oil? Roucou Oil is a substance that arrives to cosmetic producers straight from South America, namely from Amazonian regions of rainforest. This is the very location of controlled plantations where Bixa Orellana (Roucou tree) grows. Once a year, this plant bears red fruits that resemble thorny chestnuts of slightly different colour. 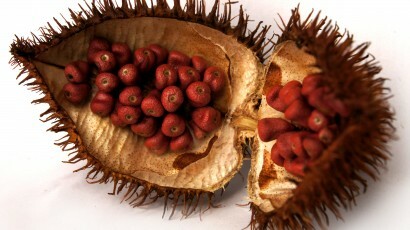 The fruits store even up to fifty red seeds inside their shells. And these are the seeds that provide the source of precious oil of flowery, very pleasant flavour, which works superbly in the fields of cosmetics and cooking. Obtained due to maceration of Roucou tree seeds, the oil is exceptionally reach in nourishing substances. Mainly, it is composed of a great quantities of unsaturated fatty acids, huge amount of beta-carotene (reportedly even hundred times more than in a carrot) and minerals (mainly magnesium, selenium, calcium, and other elements). Besides, roucou oil is a realm of ellagic acid, which neutralizes free radicals, as well as amino acids, salicylic acid, sucrose as well as A vitamin. Moreover, oil of Roucou tree is one of the richest source of natural tocotrienols. These chemical compounds are believed to be the most active and the most precious for humans compounds of E vitamin. As the title of the article speaks for itself, it is worth emphasizing that roucou oil is the best antioxidant of plant origins. Its anti-free radical action is so powerful that it is able to counteract ageing processes in a natural way. This in turn improves the general condition of skin and hair. Due to systematic use of cosmetics that contain roucou oil, skin elasticity is noticeably improved as hair becomes softer. What is more, the products with roucou oil are good at diminishing fine lines. Current researches confirms that roucou oil is not only a prime cosmetic but also equally effective medication. It has anti-inflammatory and detoxifying action. 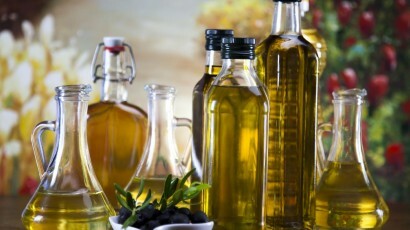 For that reason, this oil can deal with hypertension or increased level of cholesterol.